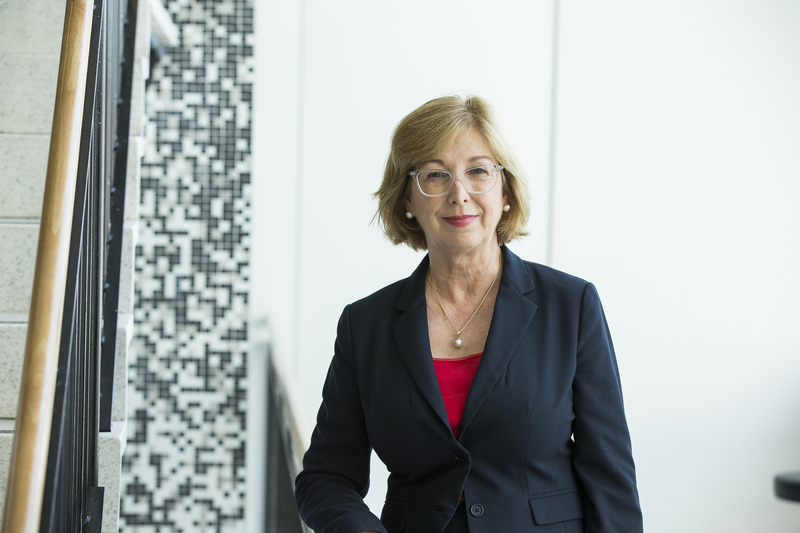 Fiona Martin is a professor in the school of taxation and business law at UNSW Business School and a taxation expert of international renown. She spoke with Julian Lorkin for BusinessThink. BusinessThink: What is the real issue with crowdfunding? Is there a tax liability if suddenly you do have a pot of money? Fiona Martin: The thing about crowdfunding is that it's been with us for hundreds of years, but now is getting incredibly sophisticated because we've got the internet, we've got social media, we've got all the amazing different ways of raising funds for our start-ups. But it really does depend on what we're actually doing. If we go back to ordinary income tax principles we can work out where we stand: Am I carrying on a business? And is this part of the funds for carrying on the business? Are people getting goods or services in return for the money that I've raised through my crowdfunding activity? There was a wonderful example in the US of smartwatches called the Pebble. They raised millions through a crowdfunding platform called Kickstarter and, essentially, if you were one of these wonderful people that thought, "I'll give you a bit of money to start with", then you would get your own special early edition vintage Pebble watch. So again, you're buying something. So, probably that entity is carrying on a business. BusinessThink: But how about if you're crowdfunding and you're in effect giving people a loan? Is there a liability there? Martin: Usually in that situation, you would get some interest on your loan because you're not just going to lend money without any sort of return unless you're incredibly altruistic. If you get interest, well, the interest is taxable, just like when you put money in the bank or you lend money on a mortgage. It's the same principle. BusinessThink: And for those very few occasions where people do give money and not expect anything in return – I've heard of cases in the UK where people put money into a failing brewery and assume, "Well, it'd be nice to see it carrying on", and then suddenly it does. The fact that they've given money but it's not a registered charity, do they have a liability as well? Martin: No, there wouldn't be any liability as such to the investor. They've given a gift, as long as it is a gift. But there's no tax deduction because it's not a charity. That's the only thing in Australia. You wouldn't get the tax deduction. But that's what a lot of these crowdfunding situations are. I've seen them on various platforms where someone's dog needs life-saving surgery and they can't afford it because vet bills are very expensive, so they're just out there asking for people to chip in $10, $15, to help Tiffany. Tiffany's life is saved, the poodle's life is saved, that sort of thing. BusinessThink: And it's like sending round a collecting tin, if you like. Martin: One of the early cases is the Statue of Liberty. The statue itself was a gift to New York from the French government but the plinth, or the pedestal that it had to stand on, had to be developed and built by the American public. And the government of the day wouldn't put up the money. The head of the newspaper, New York World, said, "Well, if everybody just chips in a few cents here, a nickel, a dime there, I will put your name in the newspaper." And people liked that. They felt they were contributing to a wonderful thing and they raised, in the equivalent of today, millions of dollars. And there's no tax liability for those donors; they just like to have their five minutes of fame. BusinessThink: That's a great case where there is no tax liability but some people when they are starting crowdfunding may not realise that they do have a massive tax liability because in effect they're starting off a company with investors, because they're asking people to invest for the future. They're buying a stake in the company if you like. And yet, they don't realise that in effect they've got an IPO, that they're generating shares, which would have a massive tax liability. Is there a case, then, that when somebody thinks they've got a great start-up idea, instead of rushing off and trying to invent it and then going to market, the first thing they should be doing is looking at the company structure and then trying to ensure that it's set up correctly? Martin: That's a very good point. So many groups, enterprises, they don't think about their legal structure first and their legal structure's incredibly important. Do they set up a company? Do they establish a charity instead? They have all different ramifications down the line. Not just tax but also who they can borrow money from, who will invest in them. BusinessThink: And equally it means that the investors don't suddenly end up with a tax liability that they didn't realise that we're going to have until a few years down the track. Martin: They should see a tax adviser. BusinessThink: For those people who are going into crowdfunding and are looking for the best possible investment structure to minimise their tax liabilities, what should they be looking at? Martin: Well, the best structure, if you don't want to pay any income tax, is to set up as a charity. But the problem with being a charity is there are positives and negatives. You can access philanthropic grants if you're a charity, so you can get grants from the Myer Foundation, all those sorts of organisations, but you can't actually sell shares to private investors and get capital invested in your enterprise that way. BusinessThink: In effect, you're limiting your future possibilities by doing that, even though to start with you're not going to pay so much tax. Professor, Admitted as a solicitor of the Supreme Court of New South Wales Federal Court and High Court of Australia. Why are some causes tax-deductible and others not?